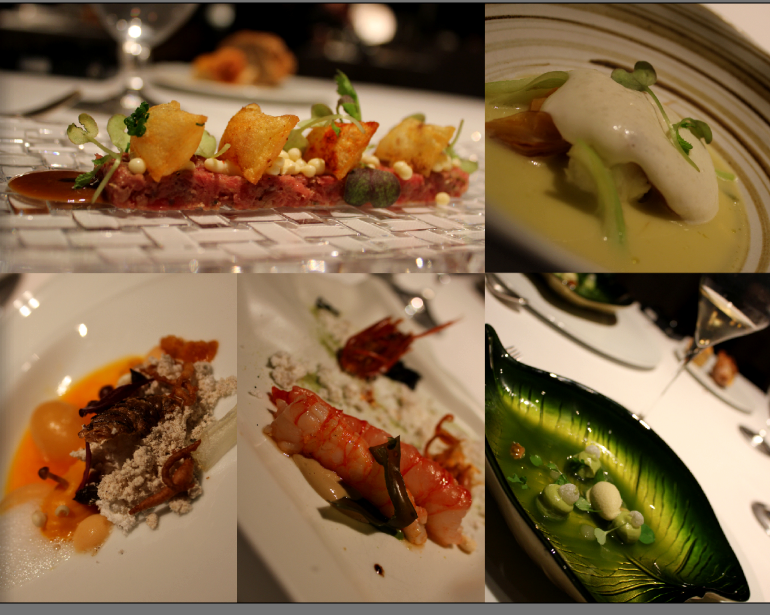 Welcome to the world of El Celler Can Roca! 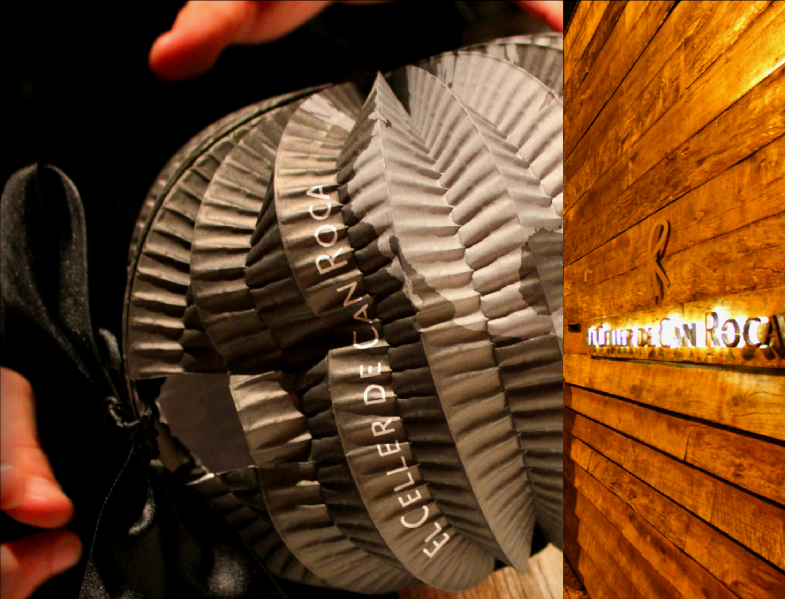 The right picture shows the entrance of the restaurant from the outside. 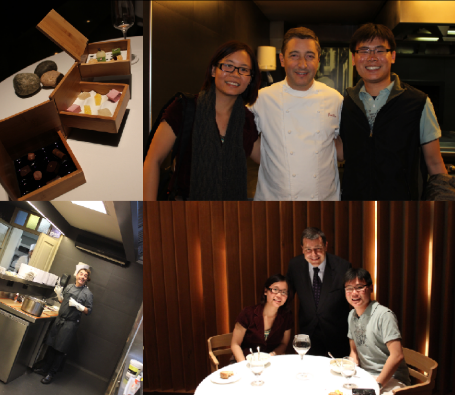 The left picture shows the unveiling of the first amuse-bouche called The World - Mexic, Peru, Lebanon, Morocco, and Korea. We arrived at El Celler promptly at 9pm and found ourselves to be one of the early patrons so we took our sweet time taking photos of the venue. 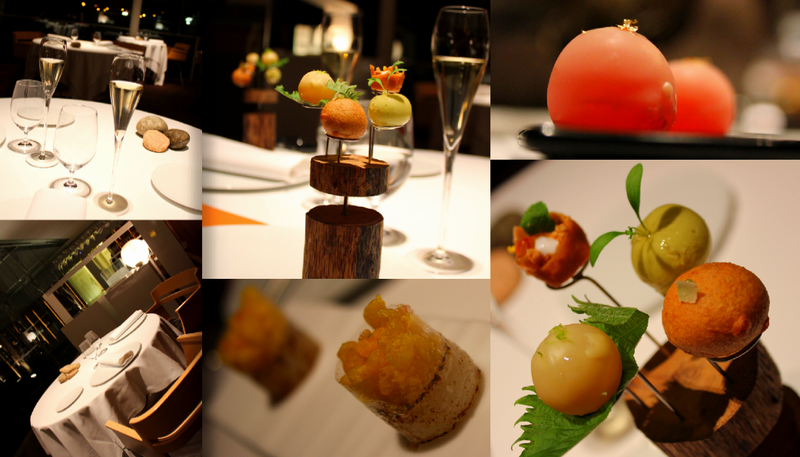 Our expectations were extremely high for this restaurant knowing that it was the 2nd World's Best restaurant. El Celler did not disappoint. If this is your first molecular gastronomy experience, prepare to be blown out of your mind. 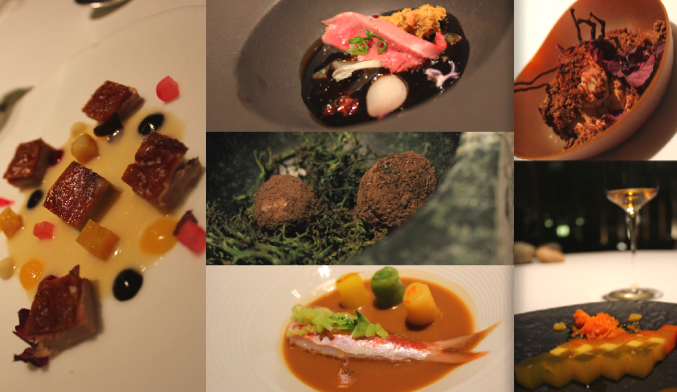 This was actually my 3rd experience (having been to Alinea and Colborne Lane) but I was still wow'ed by the creativity of some of the dishes. It really like a Disney World for your taste buds and other senses. 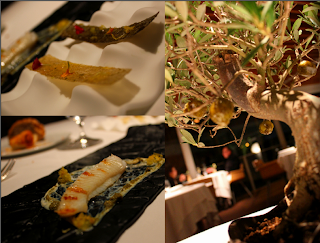 My favorite was the king prawn dish and also the amuse-bouches that just explode with strong flavours in your mouth. The downside for me was dessert. I didn't find any of the desserts particularly memorable especially compared to other fine-dining restaurants. The menu is pricey since the tasting involves 13+ dishes (including the amuse-bouche). However, if you compare the price to tasting menus at other restaurants, this is an absolute steal considering the calibre and status of this restaurant. I've heard from friends that reservations here are extremely hard to come by so be sure you reserve early! For our trip, we lucked out since it was winter so it was a low season. I reserved just a month and a half in advance and was able to secure a spot with no problem.